Mr. Richard O. 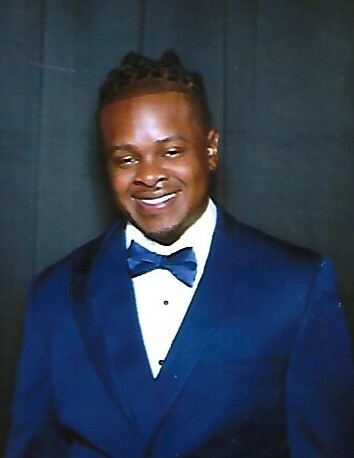 White Jr.
With determination to provide genuine comfort during this difficult moment in a family’s life, the Majestic Family has been charged with the solemn duty to advise all that Mr. Richard White Jr. has transitioned from this life into life eternal as of Friday, January 19, 2019. The heartbreaking task of planning the Life Remembering services for Richard have been finalized and will commence on Saturday from 4pm until 6pm for moments of reflection at Majestic Funeral Homes Elizabethtown Campus. Richard’s family will climax his Life Remembrance celebration with an Obsequies on Sunday at Baker's Creek AME Zion Church beginning at 2pm. Following the order of service, Mr. White’s physical temple along with his cherished loved ones will be escorted to the Lesesne Cemetery for Interment Rites. As hard as it will be for Richard’s loved ones to depart without him, God our Heavenly Father promised to be a father for the fatherless, brother for the brotherless and a son for parents who have lost their precious child. Loving memories of Richard will be forever etched in the hearts and minds of many such as his father, Richard Odell White Sr. of Dublin, NC; Mother Mary King of Bladenboro, NC; 4 Children: Brennan Harrison of St Paul's, NC, Zir'rihana Janaya White, Richard Damarion White and Messiah Kyree White of Elizabethtown, NC; 4 Siblings: Tonya L. White of Clarkton, NC, Lawanda White of Charlotte, NC, April Purdie (Michael) of Clarkton, NC and Tavon Harvey (LaTesha) of Hampton, VA; Maternal grandmother, Mary Smith Bladenboro, NC; Fiancé Tameika Mcrae and a host of other relatives and friends. The family is receiving guests at the residence located at 150 Suggs Taylor Rd. Dublin, NC where they will also assemble in preparation for the Prestigious Majestic Ebony Motorcade. The Compassionate Professionals of Majestic Funeral Homes are serving the White and connected families with uncompromising dignity.